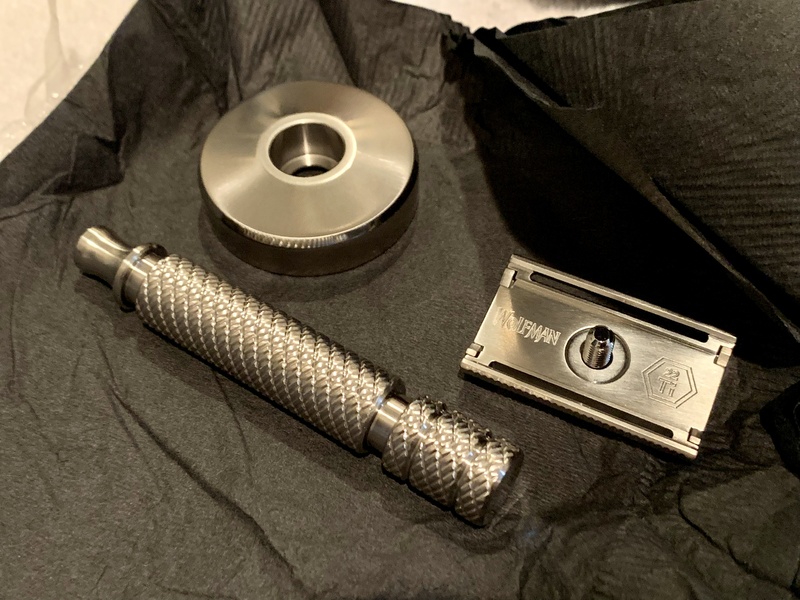 I have a Brand New Brushed Titanium Wolfman WRH2 Handle that I would like to Trade as I have two of them in Ti. I would like to Trade for a Brushed Titanium Wolfman 90mm WRH7 or Brushed Titanium 90mm WRH3. I am the Original owner of this Handle and bought it direct from James at Wolfman Razors. Please let me know if you have either of the above Handles and would be willing to Trade. Must be in Mint condition as mine is. I’m still looking! Let me know if you’ve got a Ti WRH3 or WRH7 Handle you would like to Trade. Im just curious....how much does that H2 in Ti weigh? (04-09-2019, 07:16 AM)Tester28 Wrote: Im just curious....how much does that H2 in Ti weigh? If I recall correctly the WRH2 in Stainless weighs 94 Grams, and the Titanium version weighs 55% of Stainless. So the Titanium version weighs approximately half the weight of the same Handle in Stainless.